The easiest way to "vist them all" is to stop by the Sumpter Valley Ry. 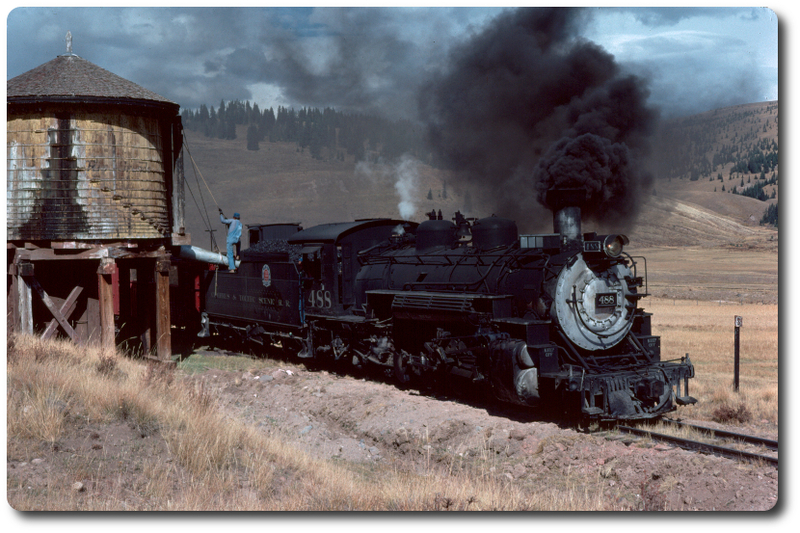 True to it's historic heritage of acquiring equipment from all over the US, we have currently have locomotives and tenders that operated in Alaska/Canada on the WP&Y and in Guatamala and a logging locomotive that wandered over to Ihaho before returning to home rails (they all started life here and went elsewhere before they returned to Oregon). We have hopper (ballast) cars that started out on the EBT, spent some time on the White Pass, and are now here too. We have D&RGW boxcars, ex-gons, stock cars and such mingled with more recent steel cars from the WP&Y. Plus a coach from the Utah Northern that came to the SVRy, then to western Oregon, then back here. Oh, and the home built caboose that spent some time in Skagway before returning to us and being fully restored. An associated organization is currently restoring a West Side Lumber Co. coffin tank car and will be starting work on a small caboose and 3 flat cars also from the West Side. It is all in the joys of recreating a railroad that was dismantled and sold off.